Oculus Rift, Oculus DK2, or HTC Vive. Gamepad or Motion Controllers (Oculus Touch/HTC Vive controllers) are required when using VR. 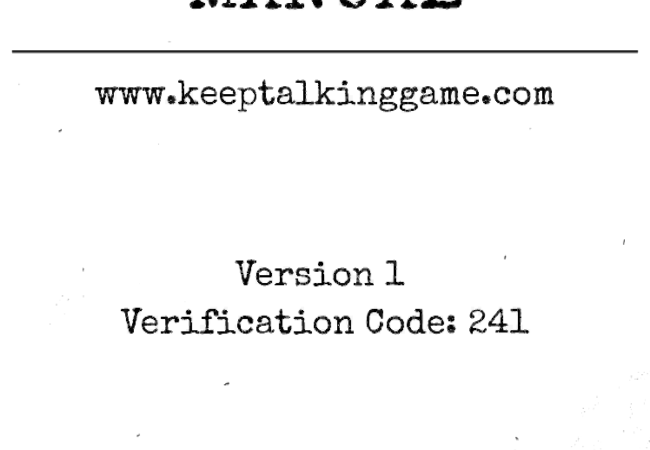 A copy of the Bomb Defusal Manual. You can either print this manual or use an additional web-enabled device to view the manual. You can also view the manual on your PC's monitor. Note: Oculus DK1 is not supported.